CRF250X vs. CRF250R – Which Dirt Bike Should I Buy? Suspension – Racing or Trails? Having the right suspension for the job will make all of the difference between two bikes. While this isn’t the only difference, it’s probably the most important. The CRF250R is a motocross bike; therefore it will have stiffer suspension and valving set up for racing on a track with big jumps and whoops. It’s still not going to fit you perfectly right out of the box, but it’s going to be a lot better of a starting point than if you were to get the 250X. If you’re looking for something more than the typical, boring, air-cooled four-stroke trail machine, the CRF250X may be just the answer. It began production with the same frame design and style of the CRF250R, including the higher performance inverted-fork and shock set-up. While it may have better and more easily adjustable suspension than most other trail bikes, it’s still going to be pretty soft so you can go on long trail rides without getting worn out from stiff suspension bucking you around. Do you like a fast-revving, high-horsepower, race engine, or do you want something that’s smoother with a broader power-band so it won’t scare you? For having almost the same engine design, there’s yet again some major differences between the two. The 250R has a larger stroke (smaller bore), a little higher compression, hotter camshaft, a close-ratio transmission, and EFI starting in 2010. These things all add up to making the motocross version of Honda’s 250F more snappy and begs the rider to twist the throttle. 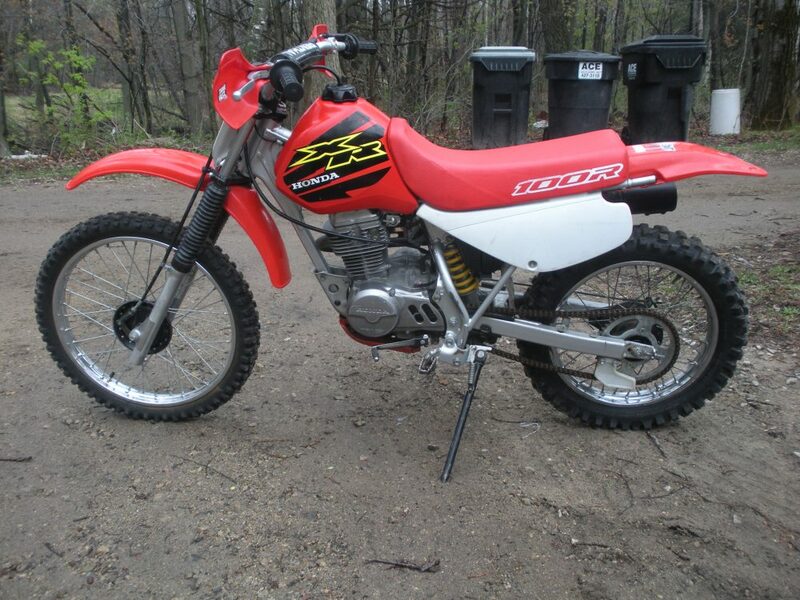 On the flip-side, the CRF250X still has the same basic engine design. A less-radical cam makes it more trail friendly for smoother power, along with the lower compression. A wider transmission ratio also makes it great for trails, both tight and high-speed. A lower-flowing intake and exhaust set-up combine to make this bike tamer for the beginning riders in mind. The exhaust is considerably quieter, and has a spark-arrestor for state trail riding. The more trail riding you want to do, the more accessories you’ll want to have on your bike. However, lightweight is the reason why the CRF250R handles so well. The options that are exclusive to the 250X that add the most weight are a kick-stand, electric start/battery, headlight/tail-light, airbox, larger-capacity gas tank, and exhaust system. Most of these mentioned are highly desirable for trail riding, but you will feel the weight difference if you ride both bikes back-to-back. So the question is, what are the options worth to you, and how much off-road/trail riding will you be doing? A lot of riders that like the race form of the 250R will take it and add a few things to make it more ride-able in the woods and absolutely love it. However, if you are older and prefer E-start, a kick-stand, and soft suspension, you will enjoy the 250X more, even if it is down on power a little. 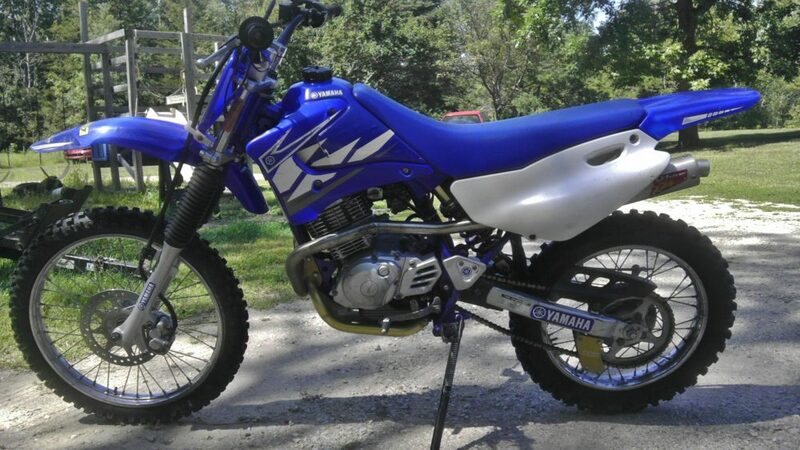 Posted on April 8, 2013 Author mxhideoutCategories Tips, Which Dirt Bike Should I Buy?Tags 250r, 250x, best dirt bike, crf 250, crf 250x, crf250, crf250r vs crf250x, dirt bike, honda, motocross, motocross bike, trail bike, which dirt bike, which dirt bike should i buy2 Comments on CRF250X vs. CRF250R – Which Dirt Bike Should I Buy? Why Does My 2-Stroke ‘Load Up’ After Sitting A Few Minutes? “Loading up” is a common problem for 2-stroke dirt bikes and snowmobiles. If you don’t know what it means or haven’t heard the term before, it’s usually when you let the engine sit or idle for more than a minute and when you go to rev it, it coughs and sputters. This feedback makes for terrible throttle-response, and will eventually foul the spark plug. The reason your two-stroke ‘loads up’ is because not all of the gas gets burned through the cylinder, so it just sits in the crankcase. When you give it some throttle, the fuel/air ratio is too high, causing it to blubber and sputter until it clears out this excess fuel. When there’s too much fuel going through the cylinder at the same time, the spark plug cannot burn all of it, thus resulting in a fouled plug. A spark plug is fouled when the jetting is too rich, and the tip of it will come out black and often wet (Click here to read more about Jetting). 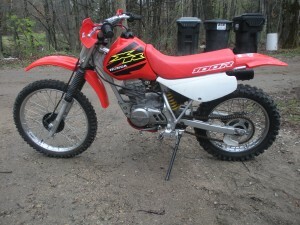 Honda CR125 is a common bike that loads up. So how do I prevent this from happening? The pilot jet is almost always the culprit. Many two-strokes (Honda for the most part) come jetted rich from the factory. This is probably to prevent engine failures, but it often causes more problems and headaches. A properly jetted dirt bike will have more power, much better throttle response, and no plug fouling. Since the pilot jet is too rich, pull the float bowl off of the carburetor and unscrew the pilot jet. It will usually have a smaller number stamped on it, such as 42 or 55 (may require a magnifying glass). Go to your local bike shop and buy a couple jets smaller for it. Don’t worry, they’re only a few bucks each. To get an idea of what size you need, first check your manual if they have any jetting specs or recommendations. The internet is incredibly resourceful, so check there as well. In the end, every bike is different, so you may just have to try a few jets to see what works the best. Just remember that a rich pilot jet will cough and hiccup, while a pilot that’s too lean will bog off idle. Either one will have poor throttle response, so having the right jetting will go a long ways. If re-jetting won’t get rid of the loading up problem, there’s probably something else wrong with your bike. Check and make sure the air filter is clean, the reeds are not cracked, the engine has good compression, and you are using fresh gas that has the right Pre-mix. Posted on January 31, 2013 Author mxhideoutCategories Bike Maintenance, Bike Tuning, TipsTags 2 stroke loading up, cr, dirt bike, honda, loading up after sitting, motocross bike, revving two stroke, spark plug fouled, two stroke bogging, why does my two stroke load upLeave a comment on Why Does My 2-Stroke ‘Load Up’ After Sitting A Few Minutes?